Welcome to my homepage. 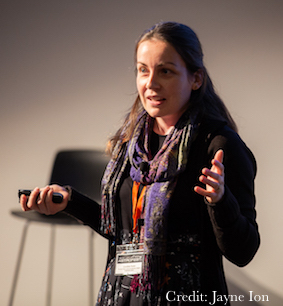 My name is Dr Caroline Foster (most people just call me Caro) and I am an astronomer. I have spent hundreds of nights at remote astronomical sites under pristine skies. I collect data from the largest optical telescopes in the world to study the motions and chemistry of stars in galaxies and unravel the history of their formation. Above: the Mauna Kea Observatory on the Big Island of Hawaii. It was the harmony and beauty of physics and maths that I first fell in love with as a high school student. Physicists measure fundamental constants, derive physical laws from first principles and make solid predictions. Mathematics is the language and foundation of our understanding; it underpins the technological advances of our era. As a highly idealistic individual, I set out to solve the mysteries of the universe. I was enthralled by the possibility that the many unexplored secrets of deep space could hold the key to unlocking our understanding. After a BSc in physics and mathematics and an MSc in astrophysics from Bishop’s University (Quebec, Canada), I completed my PhD at Swinburne University (Melbourne, Australia) in 2011. I am currently the ASTRO3D fellow at the University of Sydney and the Australian representative on the European Southern Observatory Users Committee. Astronomers are fortunate amongst the sciences because astronomy is uniquely relatable. The night sky is accessible to all. Most ancient and modern cultures performed some form of astronomical observation. As a result, astronomy transcends generations and culture. It is a fun avenue for introducing the scientific method and highlight the importance of critical thinking: an essential asset for a freethinking society. Like most pure research, my work is publicly funded. Hence, I feel a strong commitment to communicate my research more broadly through public talks, visits to amateur astronomy clubs, school visits, social media and press releases. Sharing my work with the public recharges my life and my research by focussing my perspective on what matters most. Being very idealistic, I regularly wonder whether doing astronomy is a sufficiently purposeful endeavour. Astronomy is usually non-threatening and of universal interest. My research on galaxy formation and evolution will not save lives directly, but scientific literacy will. Learning what the scientific method is and how it works through astronomy can impact someone’s decision to trust vaccines or the latest research on climate change. When I'm not busy resolving the mysteries of the universe, I enjoy spending time with my family, travelling, running, cycling, board games, reading and sometimes have time for a good hike or rock climbing. I am a Christian and a fierce diversity and inclusion advocate (see my blog).